Do you remember the good O-days of playing without shoes, days of having just a pair of shoes, nights of kiwi polish and removing it in the morning with a yellow-duster cloth to keep them shoes – days when you wished to have a second pair of shoes for special occasions and one for an ordinary day? 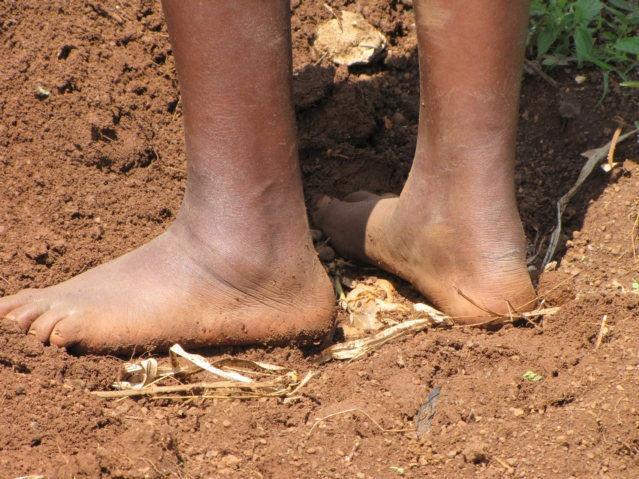 I am glad many of you remember, I am glad you remember days when you ran to a shop without shoes and slowing down to remove a thorn/small cutting stone on your foot, walked to school with no hope of getting your shoes fixed. It brings joy to recall days when the festive period was the only possible time of getting a pair of black shoes. Funny the pair would be a bit bigger; days of this kind are still seen in our communities, we have seen such within our very own New Jerusalem Children’s Home surrounding communities. On 20th May 2016 we will be celebrating one day without shoes; we would like to ask you from wherever you are to please walk without shoes for a day. Yes, the weather man has focused the day to be a bit cold – as you walk without shoes we would like to ask you to please donate a pair of shoes and to ask those around you to do the same, donate all pair of shoes you would have collected to a charity of your choice or donate them to New Jerusalem Children’s Home. On this day you can aim to collect school shoes, ordinary shoes or special occasion shoes and bring a smile on to a needy face. It is from this words that we come to ask you to drive a shoe collection initiative within your companies/communities or organisation. At New Jerusalem Children’s Home, we are convinced that you can better a child’s life from wherever you are, as much as we care for 88 children who are currently under our care, we still have communities which come to ask for clothes, shoes and for food assistance on our very own door step. When you give to our organisation we always go back to our communities and share to better their lives, with this we wish to address vulnerability in communities and hope to reduce the rate in which children are abandoned and abused when a parent is unable to support and proved for a child.